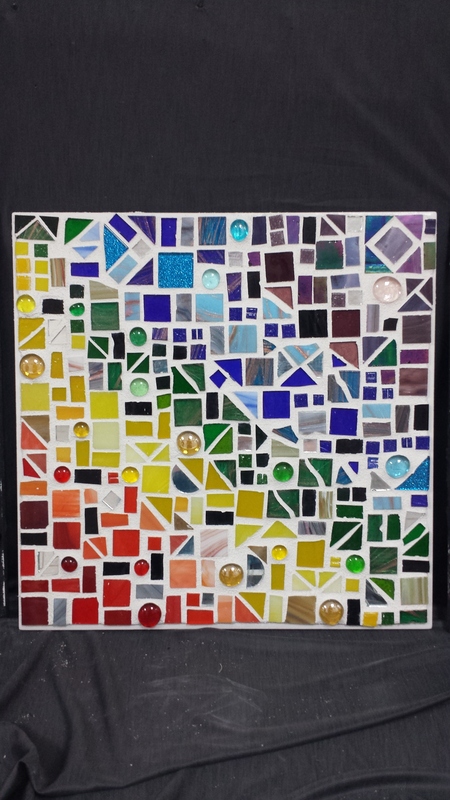 Goals of the Assignment: Students will create a balanced custom mosaic work featuring glass tesserae to form the design. Students will use their understanding of various forms of compositional balance and rhythm/pattern as starting points for the design layout. Color and shape will be manipulated to create a unique design which demonstrates understanding of balance and pattern while constructing a direct method mosaic.